Perhaps one of the hardest things for graduating college seniors is to create a résumé that will grab a hiring manager’s attention–all without having any direct experience. If you’re not the whiz kid who had all kinds of high-visibility internships with employment offers before graduation, here’s a list that will get you started on shaping your brand, creating a positive perception, and getting that hiring manager’s attention for your first post-college job–from the hiring manager’s perspective. 1. Use a functional résumé format. You likely don’t have any direct or relevant experience in your field yet, so why use a reverse-chronological format that’s for changing jobs within a particular field? The functional format highlights transferable skills, which is what you have to emphasize as you exit a controlled learning environment and enter the working world where things often are not laid out so neatly. Typical headings for a functional format: Contact info (best phone number and email address only; add LinkedIn URL to your profile if it is completely professional); Professional Summary (what are the high-level valuable skills you possess? ); Functional Expertise (a two- or three-column table with short [one or two words] skills per cell that scanning software can recognize and a hiring manager can quickly review); Employment History (here you can list jobs or internships you’ve had while attending school–just employer name, location, dates, and a one-sentence description of duties/responsibilities–no bullet lists here); Education (list completed degrees first, followed by any in progress). I advise experienced people not to include any mention of references on a résumé because hiring managers assume experienced professionals already have them available, but for fresh-outs, it’s perhaps a good idea to include a couple here. Just name, title, contact info–and be sure to alert references ahead of time you have used them. 2. Keep it simple, focused, and brief. Don’t worry if your résumé is just one page in length–you’ve got plenty of time to add important accomplishments, achievements, and strategic contributions to it as your career develops. You first have to get hired before you can start building your résumé. I’ve seen too many people with little or no post-college experience using the reverse-chronological format and list summer jobs as lifeguards, bartenders/bouncers, camp counselors, and so on (complete with bulleted lists) while seeking positions in the engineering or finance professions. It is irrelevant to the position and hiring manager. 3. Don’t use an “Objectives” section. I’ve written about this before. An “Objective” on a résumé is a euphemism for “I want a job with you.” Avoid stating the obvious (I’ve written about that before, too). A Professional Summary is a short (3 or 4 sentences) paragraph that captures the high-level value you can bring to any company. 4. Use a simple résumé format designed for quick scanning. Settle on two common fonts, such as Arial, Helvetica, Calibri, or Century Gothic for headings (12 or 14 pt); Times-Roman styles for body (11 or 12 pt). Try to avoid ALL CAPS for headings and simply use a font one size larger than the body text instead. 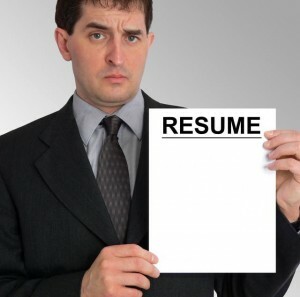 Use a one-inch margin all around to “frame” the content of your résumé. Help the hiring manager find the information you want him or her to find quickly. Hiring managers spend just a few seconds scanning résumés to find key information they are looking for. 5. Keep it completely professional. No hobbies, personal interests, etc. That information may be asked during an interview or after you’re hired. 6. Purge questionable content on social media sites. Do it now before you graduate and from this point forward, only post content (words and pictures) that present you in the most positive light. More and more hiring managers are using social media to eliminate candidates from further consideration for open positions. This is critical if you provide links to social media sites that contain information about you. 8. Start now learning to be an expert. Hiring managers like to hire experts (real and perceived). See my previous post about creating a professional brand, but essentially, the more you can do to establish your credential as an expert, the better your chances of getting hired. Have a professional LinkedIn profile, write articles for a peer-reviewed journal in your profession, give a presentation at a conference in your field, create an informative blog–all these things contribute to establishing a rep as an expert. 9. Become a great bi-directional communicator. One of the two foundational keys to career success is communication. Become more proficient with how you express yourself in writing and verbally. Your level of written communication (as seen in your cover letter and résumé) should match that of your verbal skills (as seen in job interviews). The folks who take the elevator to the top of their careers understand the importance of being able to communicate effectively in both directions (up and down the organization). 10. Become a great relationship builder. The other foundational key to career success is building relationships with others. Leaders rise to the top because of their communication and relationship skills. Managing multiple stakeholder priorities takes a special type of relationship dynamic as does seeing to the needs of others on your team or who report to you as your career develops. Motivational speaker and author Zig Ziglar said it best: “People don’t care how much you know, until they know how much you care.” Become a facilitator for the success of others and you too will eventually receive the rewards you deserve. My book, Confessions of a Hiring Manager Rev. 2.0 (Second Edition) has several good examples of functional résumés that will draw the attention of a hiring manager.